So, I've decided I would try my hand at a VERY amateur food blog here. (If I want to be the Midwest version of the Pioneer Woman i best get better at these.) It was just soooo good, I couldn't not share! 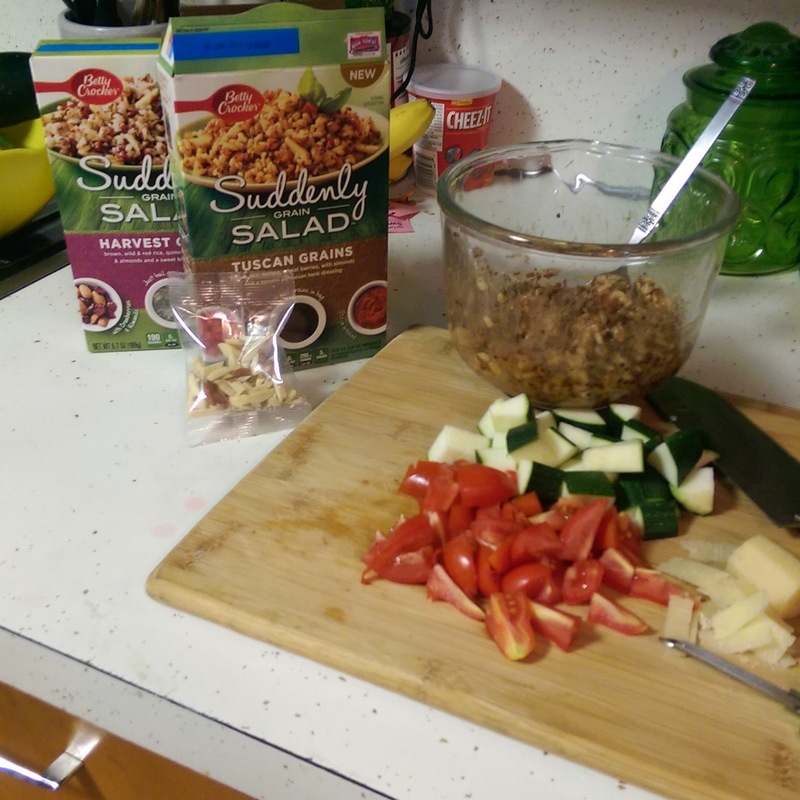 To dedicate long periods of time to boiling/watching something on the stove is next to impossible with the girls, but I love quinoa and wheat berry and other grains so I found these Betty Crocker Suddenly Salad grain salads. The Harvest Grain Salad & the Tuscan Grain Salad. The Harvest Grain is a sweeter salad...the reason why I like it. It has an apple cider vinegar flavored dressing and a garnish of dried cranberries & slivered almonds. I may or may not have sat down and eaten the whole box. Maybe, I don't know. 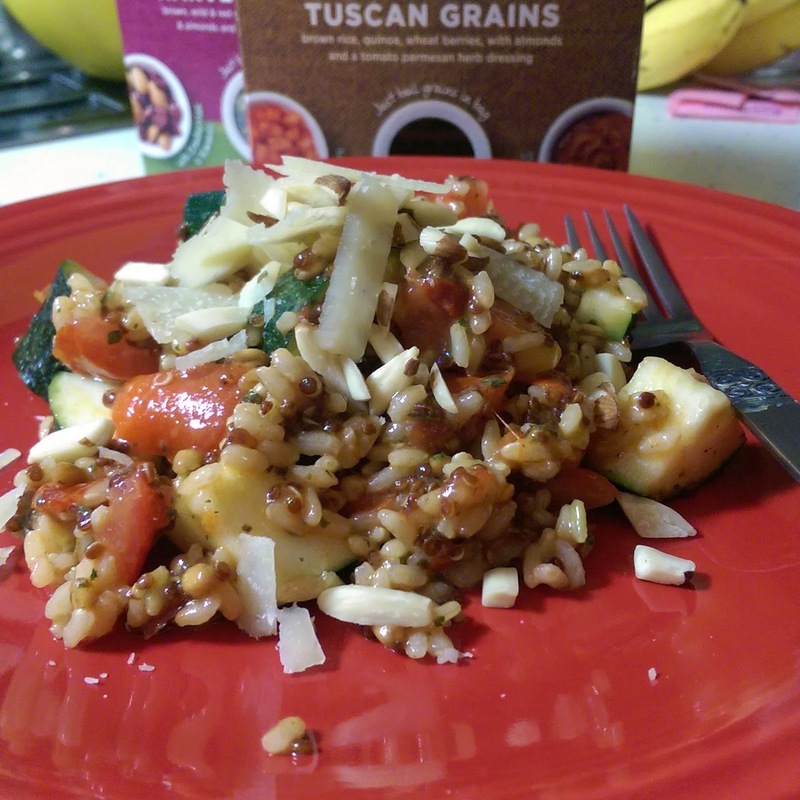 Today I made the Tuscan Grain. The dressing over the grains was more of a sun dried tomato flavor. I was feeling saucy so I added some extras; I had some zucchini & tomatoes from the garden (I normally don't like tomatoes but these little suckers from my garden are soo sweet!) and then I shaved some Parmesan cheese over the top. They provided slivered almonds for this as well. It ended up looking awesome! So colorful! They suggested other add-ins as well like chic peas, feta cheese, grilled chicken, etc. For the sweeter Harvest grain they suggested fresh apples or pears. I would add a bleu cheese or something like that. Everything is better with cheese...I mean let's get real. To recreate these would be a total sinch with the time. It was quinoa, wheat berry and brown rice. And the dressings were oil and vingar based. With the sweet one, add apple cider vinager with EVOO and seasonings. The Tuscan was pure`d sun dried tomatoes, lemon juice, italian herbs and EVOO. They held up well in the fridge (leave the almonds off and add when you eat). The protion was also perfect because Nathan's not going to eat this...let's get serious. So there was enough for two lunch and one dinner portion. Hope you ENJOY! I sure did. Yes…yes…I know…I’m sorry for the delay. Let me give you a preview of my last month and hopefully you’ll understand (If you don’t, you’re heartless!). Yes! That’s right! She’s 1 month old. Already. I know. She arrived at 2:12pm; 6 lb 13 oz. and 19 inches long. The day was surreal. I got up took a shower, got ready, took the dogs for a walk, we left for the hospital, made a few errands, and arrived and sat down in a room. I changed my clothes, talked to a few people, they put an IV in my hand & then I headed into the operating room for the C-Section.We stayed in the hospital 3 days. She slept in the room next to my bed every night AND I LOVED IT! Ruthie calls her “Baby Bessa.” She gives her kisses and really awkward hugs and makes it her purpose to make sure Tess’s passie is always in. We call her our little piggy. She was below her birth weight for only 3 days. I’m almost positive she’s above 8 pounds already. Maybe I'm just used to small babies, but I still think she's eating LOTS. She has the most active hands and generally doesn't enjoy being swaddled or confined. Her hands are usually up by her eyes or face. She’s just about as laid back as Ruthie. We are already up to a 6-hour stretch of sleep at night. For a month old, I’m stoked! She’s growing like a weed! She turned 2 on 8/9! She watches Frozen AT LEAST once a day. If you want to be her BEST FRIEND, all you have to do is blow bubbles with her. We were sitting in the drs office yesterday, and she was talking about everyone she knew, and Mickey & Pluto, and how the bubbles tickled Daisy (don’t worry…Mickey Mouse Club House) and the dr looked at me, “Does she always talk like this? ?” I replied, “All day long…” She laughed and commented that she is the most independent yet competent 2-year old she’s seen in a while. I took it as a compliment. She’s just now getting into 18 mo clothing. I’m pretty much loving this! Her wardrobe is lasting twice as long. She slept in her big girl bed for her nap today for the first time! AWESOME! I took my first Mom’s Morning out this AM. Thanks to Kayli and her sisters, they watched the girls while I took a much needed break and ran errands by myself. 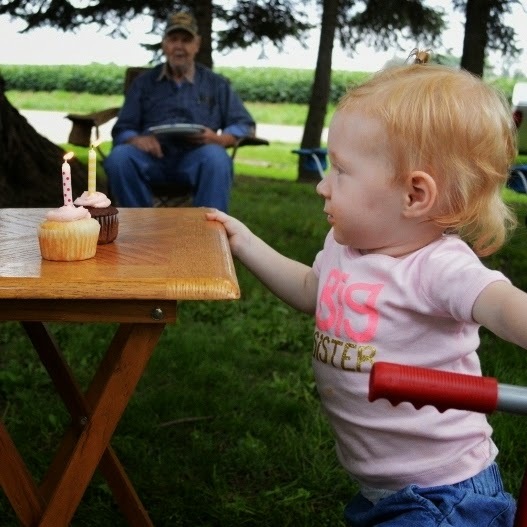 Generally, it was just nice to have conversations with someone older than 2. I ran into my friend, Laura, at HyVee and she was saying how everything gets done so much quicker without the kids…I laughed and said, "You bet!” Then I realized I was late, and I actually took longer, because I had a chance to look at everything and not forget anything on my list. We’ve had a few scary moments. On Tuesday, the dogs ran away for about an hour. We were on a walk. Note to self: Don’t text & walk. Yeah…pretty bad. Ruthie almost picked Tessa up the other day to put her in her baby doll’s pack n play. That was scary at the time, but humorous later. I’m getting anxious about going back to work. The mornings getting ready is going to be CRAZY! But we’ll figure it out….we have to. Lastly, if I don't update for an extended period of time again I'm sorry. As of Monday, I have become a football widow again. I'll do my best, but no promises. 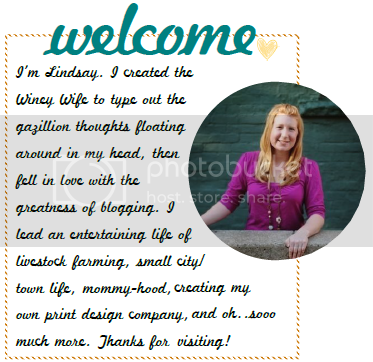 I have TONS of great blog ideas...we'll just see if they make it on here.